This post is in collaboration with Mention Me. I’m in love with transition season. Fall. Spring. Nothing’s too hot or too cold, and that period of change is always ironically exciting for me. But Fall’s on its way, so we’ll focus all of our attention to turning leaves and pumpkin spice everything today. There are a lot of things you can drop money on during this season, but I’ve found some ways to keep my costs down without sacrificing the fun. I don’t stop playing outside. Whether it’s me or the me and the kids, I like to spend time outdoors in the Fall. I prefer it to Summer, actually. I like the idea of heat, but not the reality. By going on walks and hikes, building and jumping in leaf piles or going for a random trip to the playground, we not only manage to get outdoors and stay active, but we also get to have a ton of fun for free. I start shopping for the holidays. Nothing is worse than getting to December and having to buy all the gifts. Nobody’s budget can handle that. While I try to pick up things throughout the entire year as I find good deals on things I know people will love, September is when I start kicking things into high gear so I’m not buying everything on one paycheck. There are tons of ways to save money as you shop–especially online. For example, you can browse some of the best online deals at Sello. I don’t go to the most expensive pumpkin patch. I’m really lucky that here in Western Pennsylvania, we have a ton of pumpkin patches to choose from. There’s one really popular one in my region laden with cute, farm-themed playgrounds and tons of seasonal foods you can purchase in addition to your hayride. I don’t go to that one. And there are a couple reasons why. First, it’s super popular and therefore super expensive. Secondly, I kind of hate the vibe. There are people everywhere, an upsell around every corner and the constant fear that one of my kids is going to run into the crowd and disappear. So I go to a calmer farm, about two miles down the road. They didn’t even start charging for hay rides up to the patch until a couple years ago, and even now that fee is nominal. They have a hay barn with a slide inside for the kids and a corn maze by the pumpkin patch which is always fun and never overcrowded. I weigh DIY vs store-bought Halloween costumes. Halloween costumes can get pretty pricey. Depending on what my kids want to be, I’ll check out what’s available at stores (including kids’ resale stores) and then compare that to how much it would cost me to make a costume myself. So far, we’ve been about 50/50 on this. About half the years I’ve made costumes, and then the other half going store bought was cheaper. You really have to do the math, though, because DIY is not always the most cost-effective option! 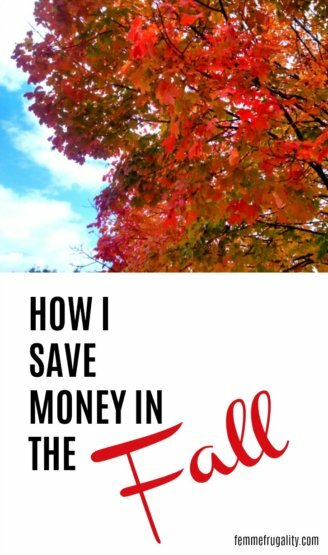 How do you save money in the Fall? I’m not a coffee drinker, so I don’t know the best ways to save on pumpkin spice lattes. I also live in one particular climate. 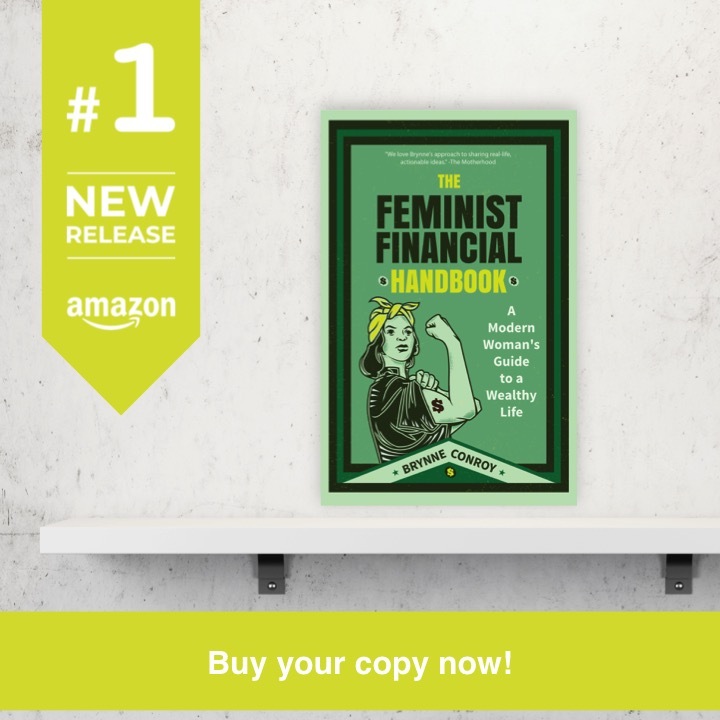 So I’m interested to hear your savings tricks for the fall, too! Leave them in the comments below! This entry was posted in Family Finance, Ways to Save Money on September 20, 2018 by femmefrugality. Well this is my goal for th eseason spend only on bills and not more €200 per month on funstuff, I’m a coffee lover so I need to plan every single expense of the day!!! Ohhhh are you on Insta? I would love to see frugalicious fall pictures from Italy!